Eagles aren't the only ones coming in now. 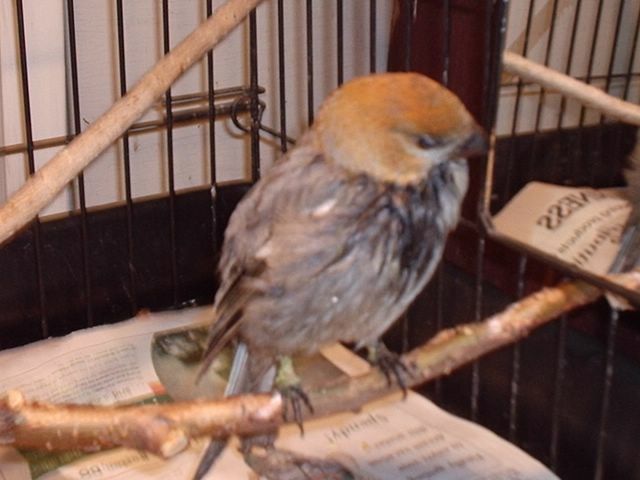 This Pine Grosbeak flew into a window and a concerned young lady brought him in. Under examination it was discovered it also had scaly leg mites. It has recovered from the window hit, and now must wait for the mites to go away. Then it will be released.